5 Reel, 30 Payline non-progressive game with a medium to high variance. 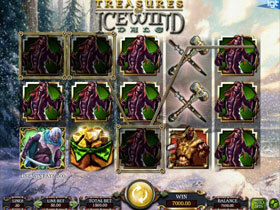 Offering Stacked Wilds, Hero symbols and a Free Spins Bonus round. Bets range from 0.30 up to 600.00 per spin Coin values start at 0.01 and players can increase their values to up to 20.00 per coin. Only one coin per payline can be staked, paylines are non-adjustable. The wild Logo substitutes for all other symbols to create winning combinations appearing on Reels 2, 3, 4 and 5. Get 12 Wilds to turn all 4 Hero Symbols into Wilds. The Scatter appears only on Reels 2, 3, and 4. When 3 Scatters appear 15 Free Spins will be won, which can be retriggered. A symbol will be randomly chosen to completely fill 1 Reel on each spin becoming a Dynamic Stack. With each spin, the reels contain large stacks of the same symbol. For some spins the Stacks are extra large and contain only the higher-value ‘Creature’ symbols. 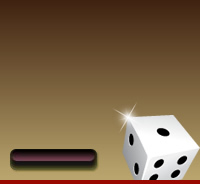 The Free Spins round is triggered with 3 Bonus symbols appearing across the reels. Land another 3 Bonus symbols during the free spins and the feature can be retriggered up to a massive 225 Free Spins!